For sale a well maintained 2011 4 cabin Fountaine Pajot Lipari 41 sailing catamaran. The Lipari 41 has been a best seller for Fountaine Pajot before being superseded by the Lucia 40 and good examples of these do not last long on the market. Further with low hour Yanmar diesels this Lipari will appeal to many folk. 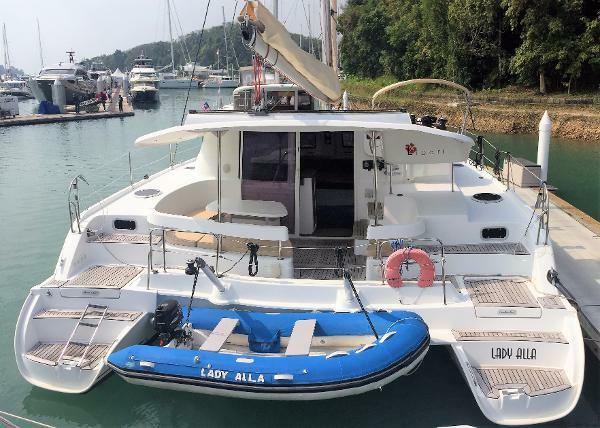 Lady Alla has most options fitted that are great for cruising in the tropical climate such as airconditioning in all the cabins and a good generator to run that when you need. 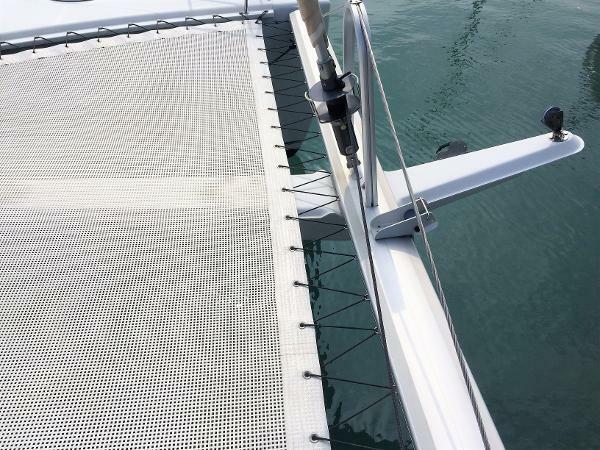 Teak decking adds a touch of class to the stern areas and upfront a Bowsprit and spinnaker adds speed to your downwind sailing thru the wonderful islands on your tropical cruise. Full Raymarine Navigation suite with autohelm and VHF radio means you can stay in control easily of this great Lipari and in touch with others around you. With the sails in good condition and regular maintenance by the current owner she is a class act. If you wish to use her to make a few extra dollars she is a great set up for charter with 4 double cabin each with their ensuite heads. 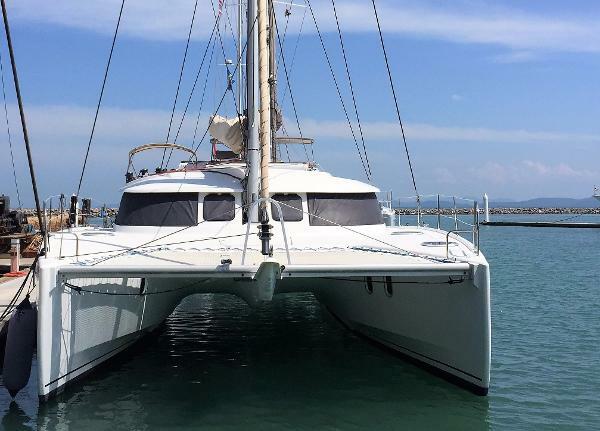 Currently for sale in Phuket Thailand and shipping available anywhere on our planet please contact the Multihull Solutions Asia office for more details and see below to download her inventory.